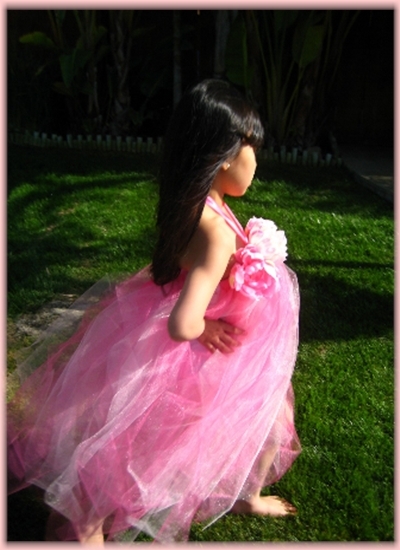 This enchanting fairy dress features layers upon layers of sparkly fuchsia and light pink tulle. It is embellished at the bodice line with three large pink peony floral blooms. 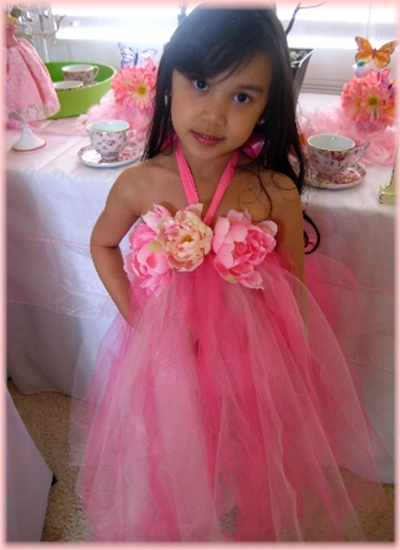 Perfect for a fairy birthday party or garden wedding. 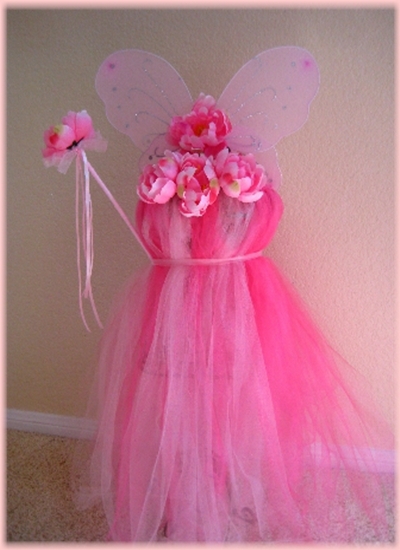 Coordinating Butterfly Fairy Wing, Hair Bloom Headband and Fancy Wand also available.